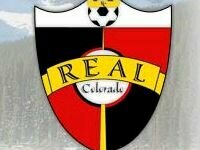 Real Colorado Soccer is a community based organization committed to helping each player learn, grow, and celebrate his or her love of the game. We are dedicated to developing character, integrity, and personal growth for the youth player, student athlete and future leader. We serve our community by continuing a tradition of fun and excellence in developing players, coaches and teams.